On the way back, I saw some interesting things. 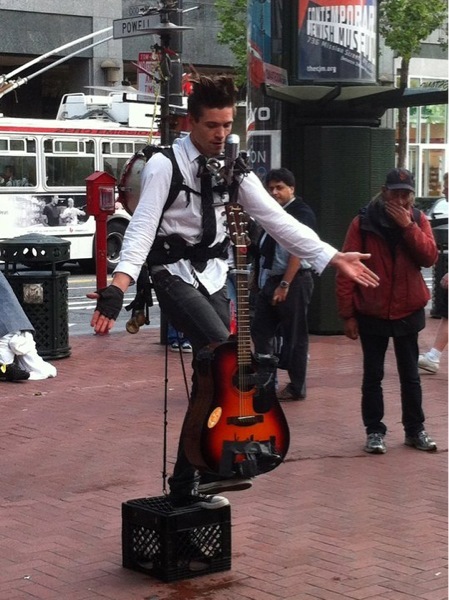 One guy was playing a guitar and singing on Market Street. He was actually quite good; much better than what I heard at Yerba Buena. Closer to the trolley station, I saw the “one man band”. He was humorous and entertaining. 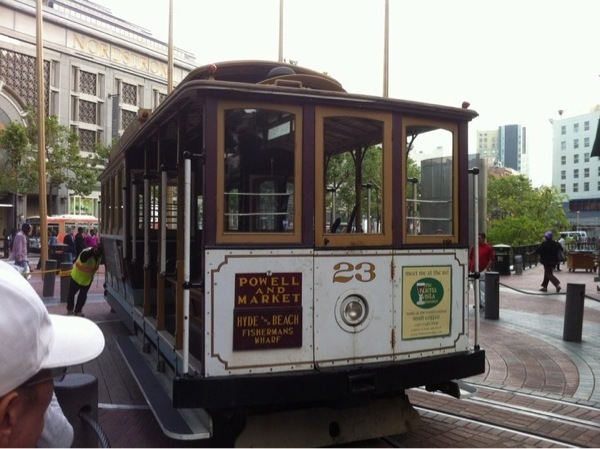 Once we reached Fisherman’s Wharf, everyone got off of the trolley and walked over to the trolley station about 2 blocks away down near the water.